From the moment you enter Brides & Beyond, located in St. Henry, Ohio, you will receive the special treatment you deserve when shopping for your wedding day. 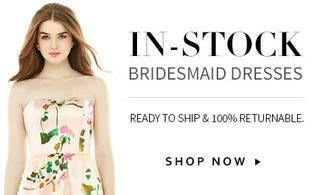 Providing personalized service and a wide variety of hand-picked designer gowns, Brides & Beyond combines small-town charm with big-city selection so you can find the dress you love while enjoying an experience you love. Our stylists aren't just experts, they care about your big day as much as you do. Our focus is for you to enjoy your dress shopping experience, letting us worry about the details while you make lasting memories with your friends and family and find the perfect dress. Because at Brides & Beyond, our dream is to make yours come true. As an authorized retailer for the Every Body, Every Bride collections from Stella York and Essense of Australia we now have many options for plus size brides 18-24 to try on in store. All dresses are shown by appointment. Book today so we can get to know you!